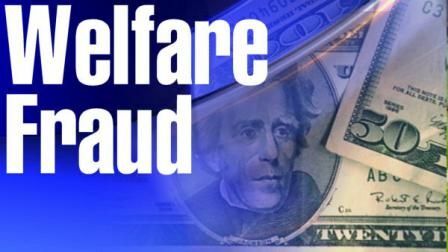 Welfare and Assistance Programs are Costing the U.S.A. $742 BILLION a year–And Climbing! Welfare and assistance program spending has gotten so out of hand that the U.S. is now spending more per year on it than most nation’s GDP! Fully one third of the nation now receiving welfare benefits. And this doesn’t even include the amount spent on Social Security and Medicare. A new study by the Government Accountability Office provides a detailed inventory of federal welfare and social service programs identified 82 federal programs and assorted tax expenditures totaling $742 billion in fiscal 2013, the latest data available. An estimated 106 million people living in the U.S. – or about a third of the overall population – received benefits the previous year from at least one of eight programs for low income and very poor families that came in for special review by the GAO. Some of these programs are available to illegal immigrants. With so much money at stake at a time of continued congressional concern about spending levels, these programs are certain to be scrutinized by the Republican-controlled Congress in the run-up to a new fiscal year on October 1. GOP leaders have already targeted many of these programs for cuts in the coming years, as they push for further sharp reductions in the deficit. …To give some perspective to the overall cost, the $742 billion annual figure represents nearly a third of the $2.4 trillion in total federal revenue that was collected in fiscal 2013 – and it doesn’t include the annual cost of Social Security or Medicare. GAO said the 2013 spending total was even higher if you counted four other tax provisions geared to helping low-income families and individuals, as well as the non-refundable portion of the Earned Income Tax Credit. Those provisions taken together drained the Treasury by $14 billion a year in foregone federal tax revenue. What the US pays out in welfare is more than the GDP of over half the world’s nations. Such countries as The Netherlands, Switzerland, Norway, Poland, and others are less. These skyrocketing costs cannot continue.